The rarest of the three main types, the stony-irons are also the most mysterious. They account for only 2% of all known meteorites. Comprising roughly equal amounts of nickel-iron and minerals, they are divided into two groups: the mesosiderites and the pallasites. Mesosiderites are believed to have been formed by violent asteroidal collisions, millions of year ago in deep space. Pallasites are made of nickel-iron and green olivine crystals. Olivine is the gemstone peridot. 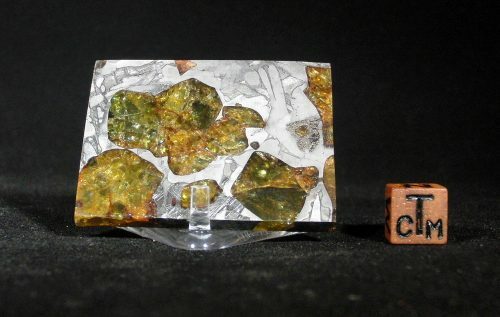 Slices of pallasites are colourful and translucent and have an extraordinary otherworldly beauty. Of the more than 50,000 officially recognised meteorites only about 300 are pallasites, making them rarer than diamonds or even emeralds. When you hold a pallasite in your hand, you are literally holding gems from outer space! 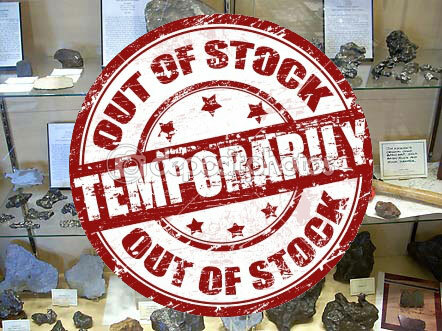 Our ever changing catalogue of stony-iron meteorites for sale is presented here, in alphabetical order. Aerolite rarely if ever supply some of the pallasite types that are known to decay and rust quickly, and pride ourselves on only choosing the very best samples. Click on any image for additional photographs. All specimens are fully guaranteed and we pride ourselves on outstanding customer service. Please contact us for additional information. And we hope you enjoy this look at the remnants of the hearts of ancient asteroids.